As we get older and more and more games are released, we often look back at the titles that shaped our earlier years. The games that were there for us after school. The games that defined our generation. Or perhaps just the games which personally stood out. 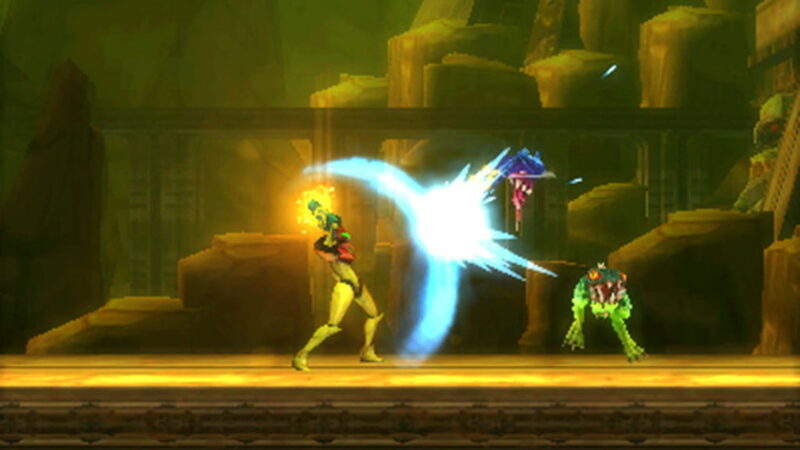 One such case of the latter, for me at least, is the second outing of Nintendo’s badass bounty hunter Samus Aran. On the Game Boy Metroid II: Return of Samus was one of my earliest gaming experiences. I didn’t own the game, but rather I borrowed it from my older brothers when they were done playing. It was gorgeous at the time, featuring a chilling soundtrack and just the right amount of action and exploration for my feeble mind to comprehend. Granted, I never beat the game because it was ridiculously confusing and hard (I’m only like, 6 in this scenario), but it still stuck with me. 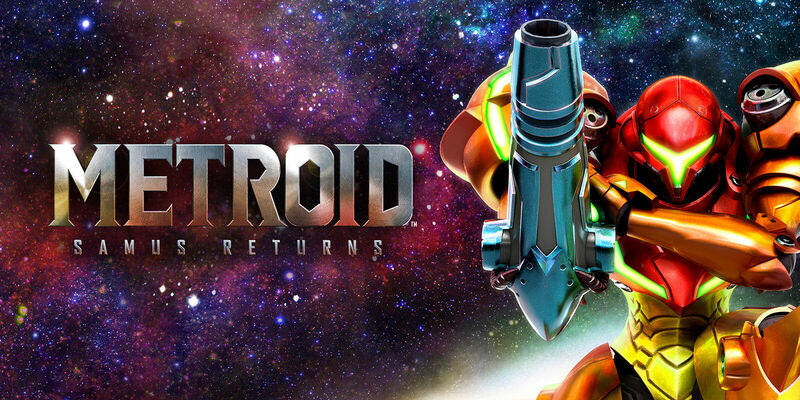 Now we’re in 2017, some 25 years later, and Nintendo has re-released the game on the 3DS as Metroid: Return of Samus, complete with all new visuals, story elements, gameplay features, and all the bells and whistles you’d expect from a remake. Thankfully in that time I’ve also upgraded my intellect and gaming prowess, so I was actually able to beat it this time around. And man, what a journey it was. If you haven’t played the original Metroid II, which I assume many haven’t, because it always seems to be the odd one out when in conversation, then you’re missing one of the most integral parts of the series’ storyline. 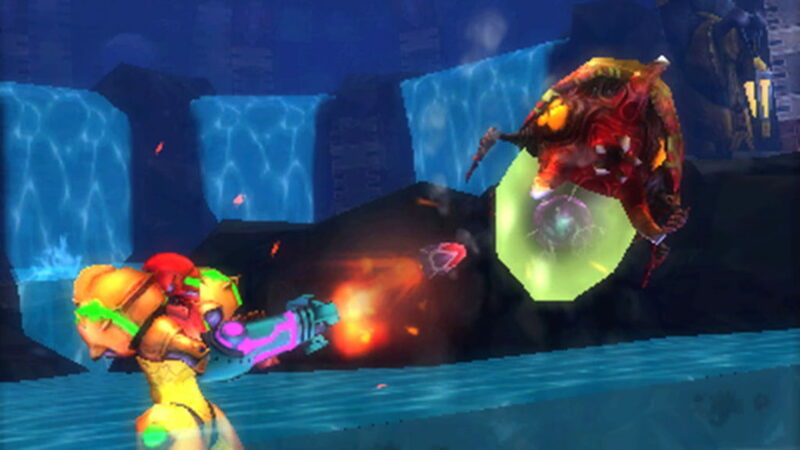 After the events of the first Metroid/Zero Mission, Samus seeks out the planet the Metroids were created on, SR 388. While on said planet, Samus finds the Metroids have evolved into more sinister forms, and threaten to not only kill her, but anyone in the galaxy. So naturally it’s your job to exterminate these creatures with extreme prejudice. Without getting into any spoilers, there are events in this game which directly tie into the future games in the timeline, specifically Super Metroid and Metroid Fusion. With the addition of time since this remake came out and the original released, there has been many more games in the series to pull content from. Thankfully Return of Samus capitalized on this by adding new story elements brought in from other games, like more Chozo information and power-ups. I thought these additions made the game much more exhilarating to play. Using power bombs, super missiles, and the ability to fire in 360 degrees made the game even better than how I remember the original. Speaking of the original, it was kind of astounding how similar the two games still felt. Sure, the storylines are basically unchanged, and the general gameplay elements have all been done before, but it still felt like I was going back to the 90s and playing one of my earliest video games. Literally one of the first things I did was get the morph ball, start sticking to walls, and then bomb jump everywhere. It was just like doing it back on the Game Boy, even down to the weird spikes in the walls that prevented you from getting too far ahead of where you’re supposed to actually go. The sense of freedom and solidarity combine to set up the creepy atmosphere. Samus is alone in this derelict planet, with only the Metroids she is hunting to keep her company. Nintendo has done a great job making the player feel that sense of isolation. When you do run into the bigger boss that isn’t a Metroid, it has you wondering what their story was. Why were they here to begin with, and what made them into what they are currently. Everything works very well to bring the player in to the world, and make them want to explore what is otherwise a fairly linear story. Technically the game handles smoothly. It took some getting used to the new melee mechanic, and the ability to shoot anywhere, but once I did I was blasting away at enemies and didn’t want to stop. Never did the game feel too challenging however, since you were generously given health and supplies from every downed enemy. 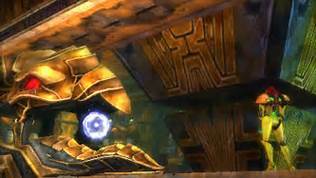 This being a Metroid game however, there are plenty of other difficulties after the first completion, as well as more rewards for the faster you complete the story. For me though, once is usually enough, and the game clocked in around 11 hours, with only 60% of items collected. The Nintendo Switch will be getting a fourth Metroid Prime game sometimes in the future, but for now Return of Samus will likely be the only new game in the franchise until then. Thankfully it is an excellent title that completely one-ups the original. The added features from other games in the series, attention to detail in bringing the world to life, and the dedication to recreating one of the oft-forgotten games in the beloved series all come together to make this game the true experience fans have been clamoring for.